When working one on one I combine nutrition, exercise and motivational techniques to transform your mind and body so that you look and feel amazing. The success comes not so much from the plans but more the power of working with a personal trainer as you have someone to ensure you actually do the behaviours needed for success. *There is no guarantee of specific results, individual results may vary. For more questions about my services as a Personal Trainer Battersea simply contact me by phone/text on 07915 397 703. My role as a trainer is to help you achieve your results. Simple as that! The reality of health and fitness and achieving the body you want is that almost everyone will never achieve their goal. That is not negative, that is merely an observable truth. The reason people do not achieve their goals is a mixture of inadequate skills, the wrong strategies (what to eat/exercise to do) and a lack of motivation. Getting in shape can be a very lonely business and with the whole world seemingly doing nothing but trying to knock you off track it is important to have someone there supporting you to your goals. My job is to guide you to a higher standard in all areas of health and fitness which will produce the inevitable result of a better body. Will not/cannot achieve their goals on their own. If you are already achieving your goals then great stuff… keep on it!! If you have more you want to achieve then I hope I can play a role during your journey. There is NO stereotypical person who is or isn’t right to work with me. I have worked with kids under 10 while my oldest client was 88 years old. One client I helped people lose 8 stone (108 Lbs / 46 Kg) yet also guided fitness models to get to 6% body fat. I am lucky enough to have had experience with almost every profession from 15 hours a day office workers to the armed forces and professional athletes. Put another way, I reckon I have worked with over a 1000 people so have seen the full gambit of professions, personalities, physical abilities and circumstances. Regardless of age or background there generally are four main goals that the majority of people desire. These are slim & toned (most women), lean & muscular (most guys), fit & functional (over 50’s) and sports performance. As well as these goals I also look to address the goal behind the goal. If you uncover and achieve this underlying feeling you will be happy across all aspects of your life. To get results you will in some form need to address Nutrition – Exercise and Motivation. This can range from very simple to more complex. There is no right or wrongs and can vary greatly from one person to the next. Based on your situation we may take the Metabolic Typing Test to begin or one of the other possible nutrition strategies. Either way we will have colour coded food plan, meal ideas and a structure upon which we can tailor your results. What to eat – This varies between people and thus completely contradicting diets work for different people e.g. paleo vs vegetarianism. The key is finding the diet that your body wants. The Metabolic Typing Test can be used for this. 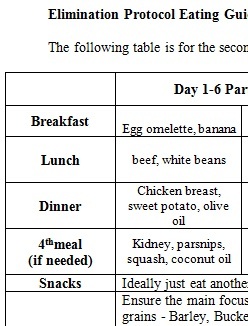 How much to eat per meal – The ratios of protein to carbs to fat. It is closely related to food cravings and overeating. Your body gives feedback on this issue every time you eat. (reactions within 2 hours). Most people have not been trained to use these. 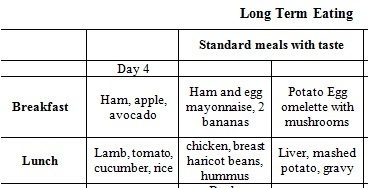 How much to eat per day – Normally this is resolved by your ratios above. This element determines your ability to lose fat, optimize health while maximising sports performance or muscle mass. Certain Foods To Avoid – While many foods can be avoided the primary concern is that of sensitive foods, those that should be healthy but annoy your body in one way or another thus causing you to store fat or for health issues to worsen. The idea is to start and refine your nutrition plan so ultimately you can get to the place where you have achieved your goals and in a way that you can easily stick to it going forwards long term. You will develop the skills to create a true balance. Where you naturally want to eat well enough to produce the results you want while also being truly free enough to eat any food you want from time to time. To start your exercise routine we usually begin with a fitness appraisal of some sort. The fitness profile test looks at 25 different measures of fitness including strength, flexibility, endurance, core function and aerobic fitness. Rather than a test it is better thought of as a observation, e.g. you do what you are comfortable doing and NOT collapsing to exhaustion. From this we will know what areas are you strong or weak. This is important as your weaknesses are what are holding you back from feeling good and reaching higher levels of physical fitness. With the fitness profile results I can then create a training plan to follow in your own time. This can be based on training at home, in the park or the gym based on your desires. The plan will resolve your weaknesses ASAP while developing your strengths. Over time you will be significantly fitter in all aspects. 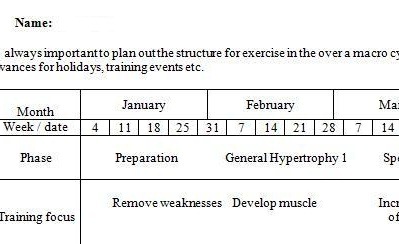 Training plans can also be developed for specific sports such as marathon running, team sports or similar as well as muscle building programmes. The mind set and motivation you possess will be the ultimate determining factor for your long term success. 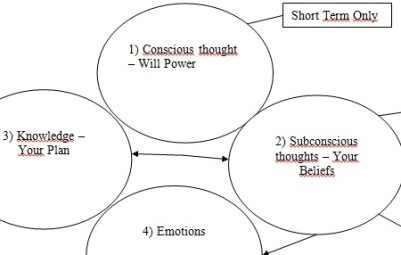 To begin the process you will get a copy of my book Change Your Thinking, Change Your Shape and take the beliefs survey to direct you to the most important parts within the book itself. This basis will be built upon in future sessions as you begin to develop the behaviour patterns to create long term results. We can also use techniques to enhance will power and trouble shoot the main blocking points going forwards. This includes looking at behaviour change techniques and handling stress. It sounds like these strategies are all that you need to go and get the results you want…WRONG! the knowledge of the strategies is not the key, it is the application. Knowing what to eat and avoid is hardly as important as actually being able to eat or avoid those foods. Your exercise knowledge is fairly irrelevant if you only train once every 3 weeks. There is something powerful about working with another person focused on a specific goal. It is human nature to put in more effort when you are working with someone else than when on your own. You eat better, exercise more and are more motivated the moment you start working alongside someone as opposed to being on your own. . In health and fitness terms a coach is even more important than other fields. The reality is almost everyone in your life will not be providing much support in this area however well their intention may be. Likewise, knowing what plan of action is actually right with all the conflicting information is difficult. Having someone to guide you and create a frame work for you to follow is a key for success. When self coaching yourself you can easily outwit or get confused because you have no outside objective voice. Along similar lines, much of the success achieved in a body transformation is as much about breaking old rules as it is creating new ones. For this to happen quickly it is almost impossible without that outside voice telling you what to do. What Happens in a Session?? A training session focuses on the area of most need. The average session combines exercise to conversations about food, resolving problems and issues of the mind and motivation during the rest periods. Some sessions are without exercise such as a sit down nutrition or troubleshooting session. Remember the key is results, doing 10 lunges instead of resolving a major block or problem is not effective use of time or facilities. On the flip side, if everything is running smoothly then it is about getting the hard work done during an exercise session. Exercise & Problem Solving – Sprints/Jog/resistance training while looking at problems that need to be overcome. Strength & Strategy – Resistance training / Core work while discussing concepts of nutrition, exercise or the mind. Exercise & Foundation Work – Rehabilitation techniques and flexibility while looking at underlying issues of motivation, stress and happiness. *The above may include behaviour change techniques such energy therapy (tapping), psych-k, visualisations or discussions on the nature of thought vs stress vs happiness. The best way to understand how it all works is to meet me for a sample session or have a 10 minute goals conversation. Location – I work in parks, houses, private gyms across London. Session Times – Depends on location but generally from 6am until 9pm at night. Weekends I do occasional sessions but do not commit to a regular time each week. Some clients lock in the same time every week while others change the time and day to fit with their work schedules. Availability – Contact me as depends on location / times etc. Session Blocks -You can get 5, 10 or 20 session blocks. Most people get 10 and we meet once per week minimum ideally. Others get 20 to meet twice per week. Cost – Contact me as it is hard to say how many sessions you will need for results (and therefore total cost). When taken all included – Speed of Results vs Magnitude of Results vs Cost per session I am one of the most affordable trainers in the London. Contact me to discuss or See the FAQ section for more info. Total Sessions –Very hard to say as depends on your current goals, skills and behaviours etc. I have had amazing results with people ranging from 1 session to 100 sessions plus. Budgets and other elements obviously play a part. My aim is to get it so you are self-sufficient. For a full biography check out the about me section. In short I have been personal training since 2002 and have been a nutritionist since 2005. I started using mind and behaviour techniques in 2006. Injury and rehabilitation techniques have been integral to my approach since I entered the industry. 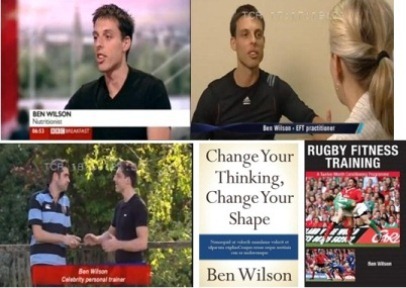 My book Change Your Thinking, Change Your Shape came out in 2012 and back in 2006 I wrote my first book – Rugby Fitness Training: A Twelve Month Conditioning Programme. Support not criticism for any behaviour patterns. Everything we do is for a reason and success come from understanding this. I always look at the big picture of nutrition, exercise and motivation both short term and in a long term capacity. I err on the side of caution over going crazy with exercise. Availability between sessions to ensure things are on track. I am not a strict disciplinarian. Shouting, I would never shout at you – what is the point! Someone who lets you smash yourself pointlessly during an exercise session if your body is telling you different. Sample Session – Let’s meet up for sample session or goal consultation to give you a better understanding of how it works and see if we have synergy. Some people like to do some exercise in this session while others prefer to sit down and just discuss your goals. I am easy either way, whatever works best or you. Goal Consultation – Let’s chat on the phone to discuss your main goals and what you need to do to be successful.